3. 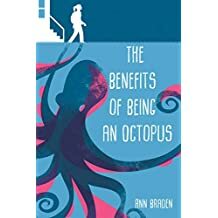 The Benefits of Being an Octopus – by Ann Braden. A good book about socio-economic class divides, growing up, and facing challenges! I’m excited to be part of #KidsNeedMentors. I’ll be partnering with two wonderful NC Schools – Franklin Elementary in Mount Airy and Pleasant Grove Elementary in Morrisville! Click the link above to read more about this wonderful program! I’ll post more as the year progresses. My goal this year is to read 100 books. Currently, I’m at seventeen. I actually think I’m a little over that since I’ve read some unpublished works and there are a few books I did not finish (DNF). But there is nothing wrong with lofty goal and I’ll just continue it on to 2019 if I don’t conquer it this year. Howl’s Moving Castle was also made into an anime by Hayao Miyazaki. The movie is a bit different from to book, but both had moving castles…and were cool. This was another great book! 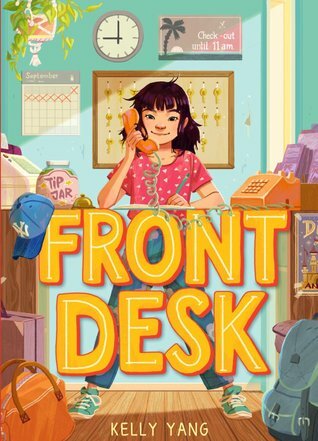 The author immigrated from China as a child and her family managed hotels while she was growing up. The author’s note explains how many parts of the story were inspired by parts of her life. Kidlitcon 2017 with the KidLitosphere in Hershey, PA this Friday and Saturday! I’ll be on a fabulous panel about Villains in MG with great authors, librarians, and bloggers. Come and check it out. Also, click the KidLitCon banner to find out more about KidLitCon 2017 and to enter Kidlitosphere Central. Iron Guy Carl interviewed me on his wonderful blog! And he reviewed all my books. Check out the interview and reviews by clicking the here. Read Iron Guy Carl’s blog and you’ll also find great interviews with authors like Rick Riordan and Phyllis Reynolds Naylor and more MG book reviews. VILLAIN KEEPER and QUEST MAKER ebooks are on sale! ROAR! The ebooks for The Last Dragon Charmer #1 (VILLAIN KEEPER) and #2 (QUEST MAKER) are on sale for $1.99 at Amazon, B&N, and kobo! “Each August, in a setting that has inspired writers for more than a century, Weymouth hosts Write-On Camp for students in grades 3-5. This year’s camp will run Tuesday, August 1st – Thursday, August 3rd. Hours are: Tuesday and Wednesday from 9am – noon; Thursday from 9am to 1pm. 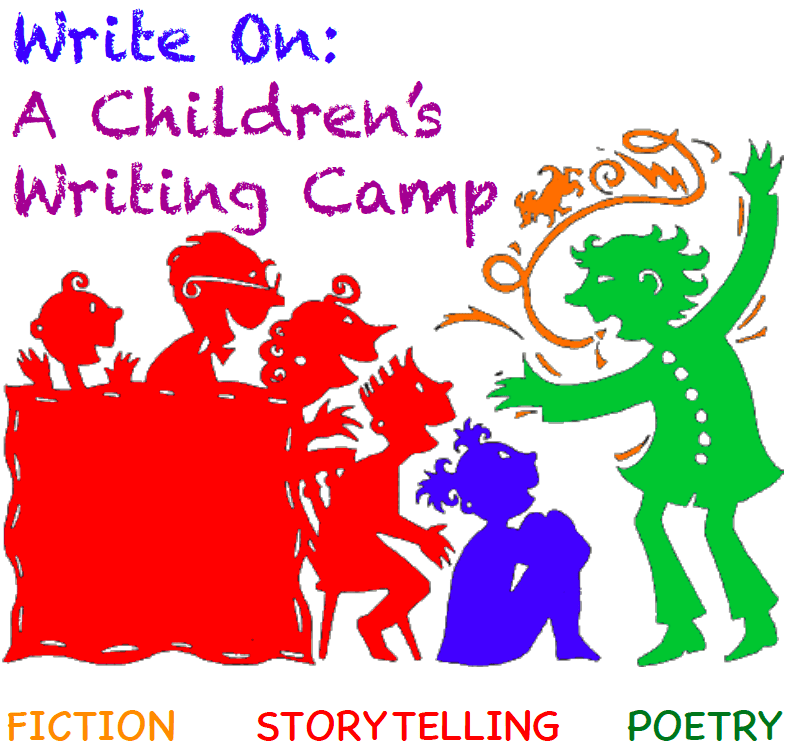 Write-On Camp is a summer tradition that includes writing fiction and poetry. This year, an art element has been added to explore the visual nature of the writing process. Professional North Carolina writers and a professional art instructor will teach the August camp. Experienced writing instructors, Beth Copeland, Laurie McKay and Karen Poppele are joined by artist, Ellen Burke, forming an outstanding team under the direction of John Amen for this year’s Write-On Camp. Copeland is a highly acclaimed author, poet and essayist whose work has been featured on PBS Newshour. McKay is the author of the popular young reader series, The Last Dragon Charmer. Poppele is a skilled writer and editor, specializing in creative writing. Amen, the author of multiple books of poetry is currently on tour with his highly acclaimed, Illusion of and Overwhelm. Burke, an experienced educator and local artist will be teaching the art of “in depth observation by exploring not only what they see, but what they think.” Students will explore writing with inspiration from personal experience, imagination and the beautiful gardens and grounds at Weymouth Center. There will be a student performance for parents and guests on Thursday from 12-1 pm. Cost: $50 per child includes all supplies and snacks; Scholarships, generously sponsored by Turnberry Press, are available for students unable to meet the cost. Click the links to win copies of VILLAIN KEEPER, QUEST MAKER, and REALM BREAKER to read at the beach this summer! I had a wonderful school visit with the fourth and fifth-graders of Ocracoke School on Ocracoke Island, NC. The kids were fantastic. So were the teachers and parents – including Ms. Sundae Horn who wrote an article about the visit for the Ocracoke Current. I got to eat a delicious lunch from Eduardo’s with everyone. Also, I was much impressed with the hearts the students made for the visit. The visit was in February around Valentine’s Day. It was a lovely visit. I hope the kids will decide to write, write, write, and that everyone enjoyed it as much as I did.